Milano Keratin Dolce Keratin Kit Formaldehyde Free 118ml/4oz (2 items) - Just Beauty Products, Inc.
Milano DOLCE Keratin: is a new and revolutionary hair smoothing treatment system that infuses hydrolyzed keratin and organic oils deep into the hair cuticle to eliminate frizz and curl from the hair. Leaves the hair looking soft, shiny and luxurious. The results are immediate, hair becomes more manageable and easier to maintain, reducing daily styling time. For many, this is truly a life changing experience! Milano Keratin Hair Smoothing Treatment is an outstanding product, made from keratin, collagen protein complex and organic botanical oils. 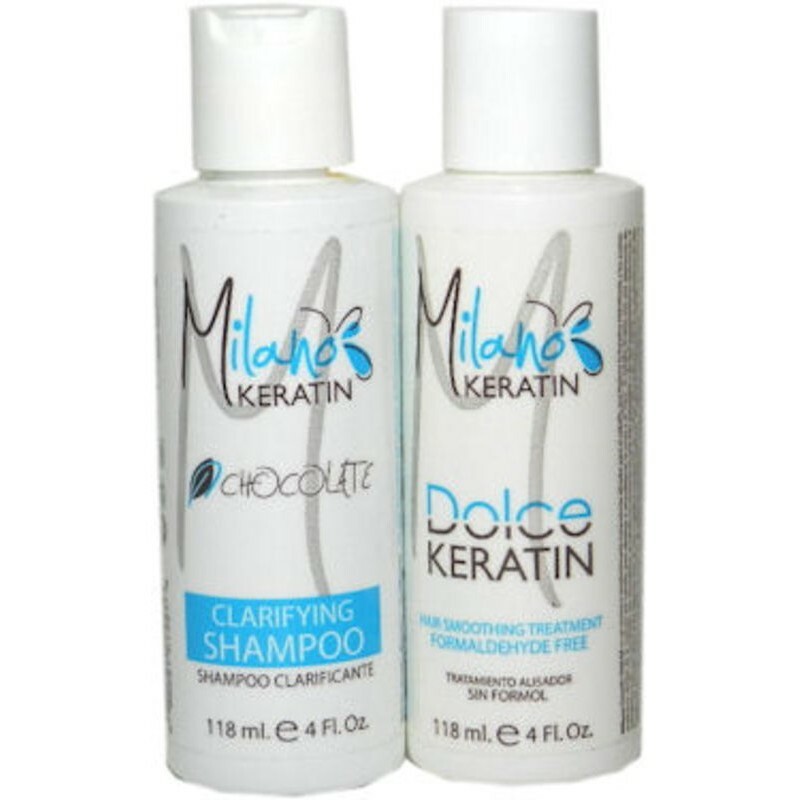 When using Milano DOLCE Keratin, your hair becomes softer, silkier, straighter and shinier. Your hair will require less maintenance - close to being maintenance free. How to use: For professional use. We recommend to use this treatment prior to hair coloring. 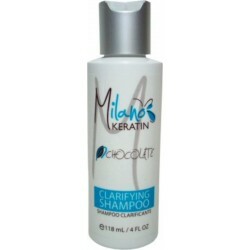 Wash hair twice with Milano Keratin Clarifying Shampoo. Towel Dry. 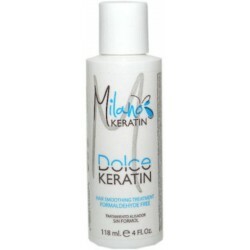 Apply Milano Keratin DOLCE Keratin into hair avoiding scalp. Allow product to work for 45 minutes to 1 hour. Rinse off using Milano Care Nourishing Shampoo. Rinse off completely. 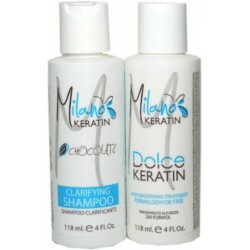 Apply Milano Care Keratin Repair Mask and Leave on for 4-5 minutes, then rinse. Blow dry. Apply flat iron to 380º-410ºF maximum. Set flat iron temperature to 380ºF for Reds and Highlighted hair. Use Milano Care Argan Oil and Style as desired. Caution: This product is for professional use only and to be used by a licensed and trained stylist. Avoid inhaling fumes during use. It may cause eye, skin and/or breathing irritation to certain individuals and a preliminary test strand is recommended. If irritation occurs, please discontinue use and seek medical advice. Keep out of the reach of children. Do not take internally. Disclaimer: Manufacturer/Distributor is not responsible for damages or injuries if product directions and caution statements are not followed.